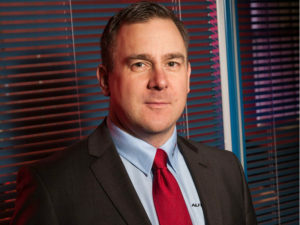 Jon Mitchell, Autorola UK’s group sales director. The price of used petrol cars is at a four-year high but diesel remains the fuel of choice for used car buyers, according to Autorola. Published as latest figures from Aston Barclay and BCA show diesel demand remains unabated, the research by Autorola finds the average price of used petrol vehicles sold through its online remarketing portal reached a four-year high in Q1 2017, with the average gap in prices between petrol and diesel narrowing to its smallest gap in Q1 2017. Average prices of diesel have been steadily rising since 2015, with prices in Q1 2017 standing at £11,493. “Average petrol prices reached their highest point in Q1 2017, which shows a resurgence in demand and increase in used prices. However, buyers seem unperturbed by the recent bad publicity around diesels; it’s still firmly the fuel of choice for the 2,000 active buyers on our portal,” explained Jon Mitchell, Autorola UK’s group sales director. Tim Payne, CEO of InstaVolt. A network of 200 rapid chargers, capable of being upgraded to offer eight times the charging speed of today’s quickest units, will begin rolling out along the UK’s major routes this summer. 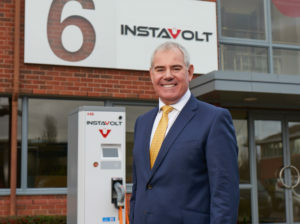 The network is the result of a ‘multi million-pound’ deal between Basingstoke-based operator InstaVolt, and American manufacturer ChargePoint, and will put the first Express Plus charging stations at service stations and forecourts in the second half of this year. Colin Ferguson, MD of fleet and optimisation at Trakm8 (left) with Paul Jorgensen, senior partner and founder of SAT. Trakm8 Group and logistics operational expertise management specialist Strategic Analytics Team (SAT) have teamed up. Including on the importance of driver training, the latest in journey management software, route planning, managing risks in teams out on the road, fleet management and the associated responsibilities, and much more to ensure safer travelling and greater efficiency. In return Trakm8 will offer SAT’s Electric Vehicle Defensive Driver Training Education Programme. Kwik Fit GB fleet sales director Andy Fern (centre) with Matt Sutherland (left) Alphabet COO and host Ed Gamble. 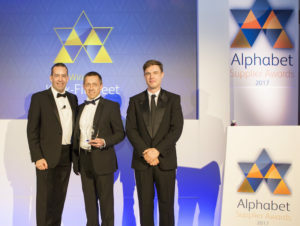 Kwik Fit has won the Fleet Service Provider of the Year title at Alphabet GB’s inaugural ‘Supplier Award’. The award was given in recognition of Kwik Fit’s “collaborative approach” to the wide range of services provided, including the launch of new online initiatives all designed to improve fleet operating efficiencies. Councils need more than £12bn to get roads back to a safe standard, according to the 2017 AIA ALARM Report. More than three quarters (76%) of drivers say that all potholes should be filled within a week, while almost a fifth (18%) believe that pothole repairs should all be completed within 24 hours, the AA has revealed. LeasePlan UK’s managing director, Matt Dyer, said: “Filling in potholes is no substitute for modernising Britain’s road network. Part of the reason why there are so many potholes, in the first place, is because the roads are aged and decrepit. 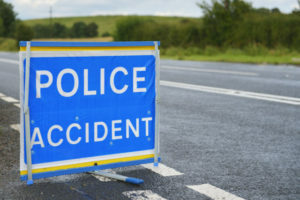 The IFB estimates crash-for-cash ‘accidents’ cost the industry £336m per year, paid for by premium-paying motorists. A crash-for-cash gang has been found guilty of fraud offences for deliberately causing a crash in Warwickshire, marking the milestone 500th conviction for the Insurance Fraud Bureau (IFB). Members of the public can play their role in fighting back against ‘crash for cash’ scams and other types of insurance fraud by reporting what they know to the Cheatline by calling 0800 422 0421 or reporting online at www.insurancefraudbureau.org/cheatline. The number of drivers using mobile phones behind the wheel rises in traffic jams, according to the research. Only 38% of motorists say that tougher new penalties will stop them using their phones while driving while one in three motorists believe the fines should be higher. 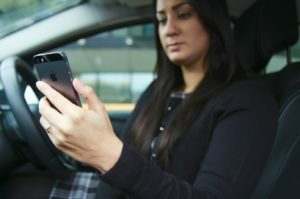 The survey, conducted MyCarNeedsA.com, also found that 2% of motorists admitted to texting while driving, while 20% admitted to making calls and 6% admitted to checking social media. The research indicates higher mobile phone usage when motorists are stuck in traffic, with 66% of motorists admitting to texting, while 37% admitted to checking social media and 18% admitted to making calls.